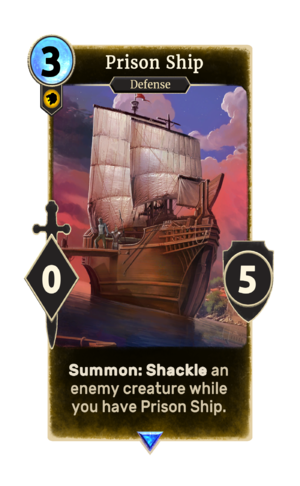 Summon: Shackle an enemy creature while you have Prison Ship. Prison Ship is a rare Willpower creature card. It is part of the Houses of Morrowind expansion.